If you have ever wanted to get a new garage door then you need to be aware of a few key pointers to follow when making your purchase. We recently compiled a list of the most frequently asked questions we hear from customers who are making their decision. What is the Quietest Option? A good garage door that works on a belt drive is typically the best option for you to stick with. It tends to work with less tension than a chain-based door, thus generating a substantially lower amount of noise as it operates. This should work well if you are trying to get a model that you know will be rather easy to utilize and will not be far too problematic for your requirements. Should You Use a Steel Or Wood Door? A steel door doesn’t require much maintenance and can be washed with warm water and a traditional cleaner. A wood door will be more unique in its appearance but still require more maintenance. You should think about your demands for a door and your preference for managing it if you want to buy a good model. How Big Should Your Door Be? You need to measure the height and width of the opening in your garage to figure out the ideal size for your door. From there you can choose a model that will work with your quietly sized garage door opening. What Other Factors Can Work? You can always consider the insulation and color features on your garage door when finding a good option. Other considerations include energy efficiency and price, depending on your preferences and budget. 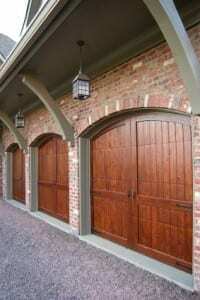 You should be certain when finding a new garage door that you are aware of what you can utilize. The options that are available for you to use today include many fine choices that will fit in perfectly with your home.